Do your social media work now. 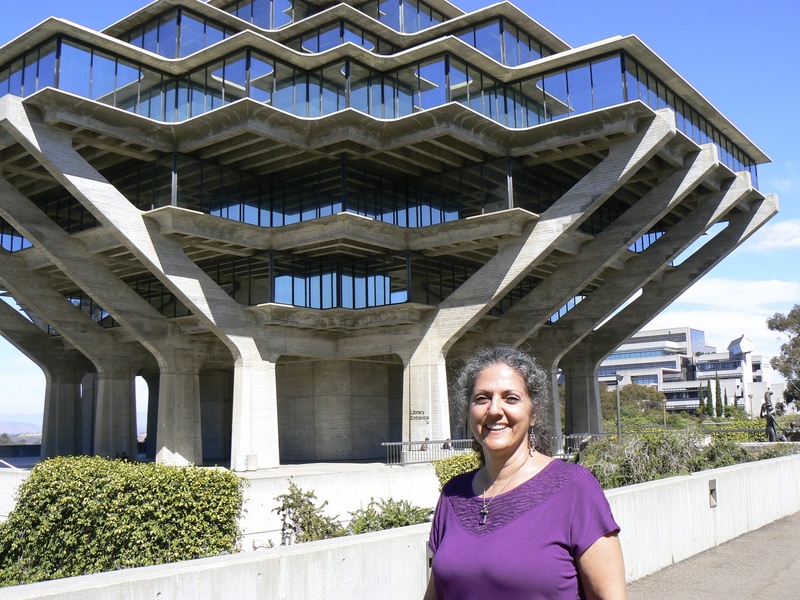 Find your book later in a library like UC San Diego’s Geisel Library. This crazy cool facility in La Jolla, CA — named in honor of long-time La Jolla residents Audrey and Theodor Seuss Geisel (better known as Dr. Seuss) — houses more than 3.5 million books! What is your favorite online tool for authors? Goodreads? Facebook? Pinterest? Blogs? Let’s get together and share what we know about making the best use of our time online for our books. The Alliance for Literary Writers, Authors & Yabbering Scribes (ALWAYS) is an informal group of established fiction and nonfiction writers in the Phoenix area who want to support each other’s work, share ideas and best practices, and just discuss writing topics. I’ve led this group since 2006.